Thomas R. Hoerr retired after leading the New City School in St. Louis, Missouri, for 34 years and is now the Emeritus Head of School. He teaches at the University of Missouri-St. Louis and holds a PhD from Washington University in St. Louis. Hoerr has written four books and more than 100 articles, including "The Principal Connection" column in Educational Leadership magazine, and is an enthusiastic but poor basketball player. Readers who would like to continue the dialogue may e-mail him. 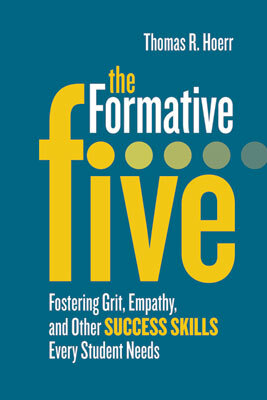 In this lively, engaging book, educators will learn how to foster the skills that today's students need: empathy, self-control, integrity, embracing diversity, and grit.